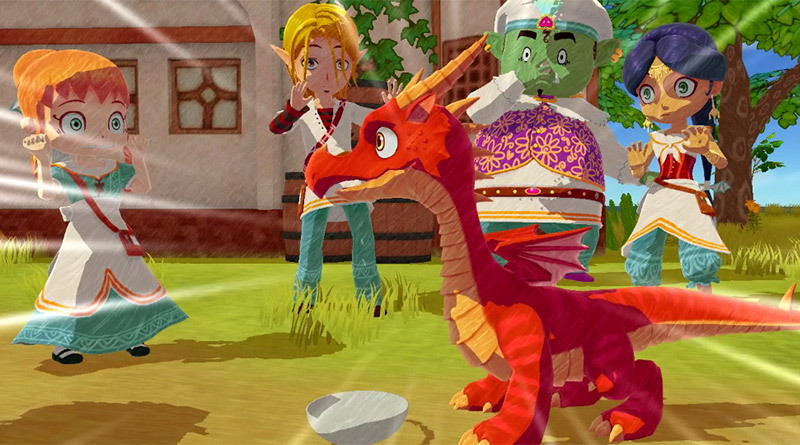 Aksys Games has released the first trailer for the upcoming Little Dragons Café for Nintendo Switch and PS4. From renowned game designer Yasuhiro Wada (Bokujo Monogatari, or Harvest Moon and Story of Seasons outside of Japan) comes his latest creation, Little Dragons Café. The story opens with a twin brother and sister learning to cook and manage a small café under their mother’s tutelage. All was peaceful and routine until one morning when the twins discover that their mother has fallen into a deep sleep and won’t wake up. Suddenly, a strange old man appears to inform them that they must raise a dragon in order to save her. Working together with three quirky café employees, the two siblings must ­gure out how to a wrangle a dragon and manage the family business while ­finding a way to save their mother. Little Dragons Café will be released for Nintendo Switch and PS4 in late Summer 2018.